In less than one month, polling stations will be open for voters to make the pivotal decision about whether or not Britain should exit (Brexit) the European Union (EU). Thursday 23rd June is the key date for the referendum, which has been years in the making. The battle lines have long since been drawn, with the Prime Minister, Chancellor, Leader of the Opposition and Liberal Democrat Leader all in favour of staying in the EU. On the other side of the fence, the Vote Leave campaign is championed by significant figures including the former Mayor of London and the Justice Secretary. Even former England cricket all rounder Sir Ian Botham has waded into the debate. There has been political point-scoring, millions spent on leaflets, and publication of news that could be seen as scaremongering. Campaigners on both sides of the argument are passionate about the direction the country should take. Many of the arguments seem political or economic. George Osborne warned of the economic perils of leaving the EU, while analysis from the Treasury suggests the economy could be 6% lower by 2030 if the UK exits the EU. Clearly, any economic changes will have a knock-on effect on whether there are more or less jobs, so it is well worth investigating what businesses think about the all-important vote. The foundations of what eventually became the EU were set in stone in the immediate years after World War Two, when France and Germany, in their joint desire not to engage in brutal conflict again, signed an agreement with a total of six nations to combine coal and steel resources, thus ensuring cooperation in trade. Signed in 1950, this was followed by the formation of the European Economic Community (EEC) in 1958, which was the forerunner to the EU. Great Britain joined the expanded EEC in 1973 and upon the formation of the EU 20 years later, this was integrated into the organisation and renamed the European Community. 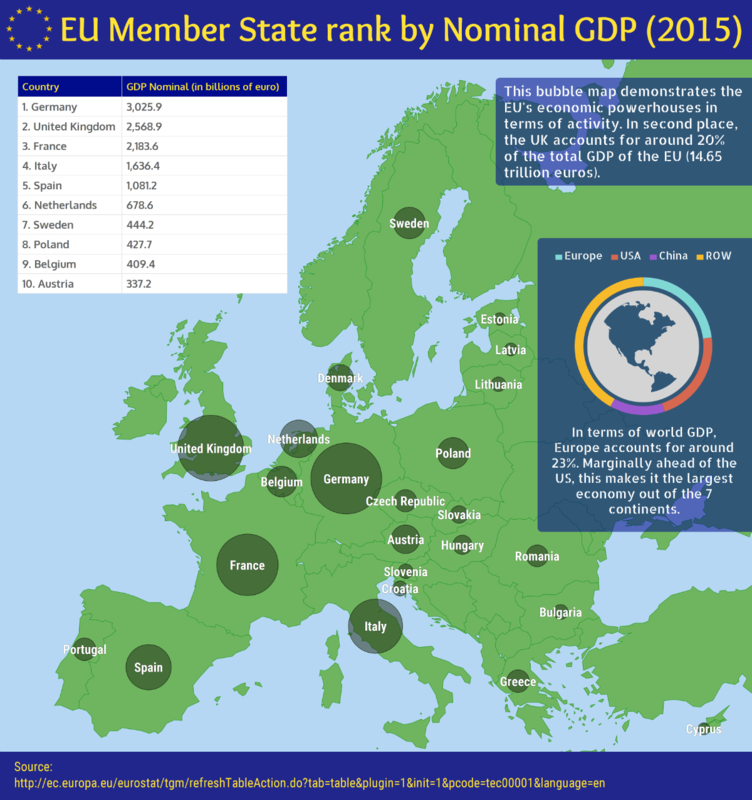 At present, the EU has 28 member states including the likes of Italy, Spain, Denmark and Poland along with Germany and France. The latest member, Croatia, became part of the EU in 2013 and significantly, no country has ever left the EU. Initially set out to help trading, the EU's functions have increased throughout the years, and as well as the Union being the largest trading partner of Britain, it also plays a part in boosting employment in the UK by using some of its funding for this. For pro-EU campaigners, this shows that the UK's contribution to the annual funding is being spent wisely because an improvement in job availability is undoubtedly something all employers want to hear - if more jobs are readily available, it suggests businesses are ultimately able to expand. Although the EU spent £4.5 billion on the UK last year, the government paid in much more, therefore the net contribution from the UK is approximately £8.5 billion. 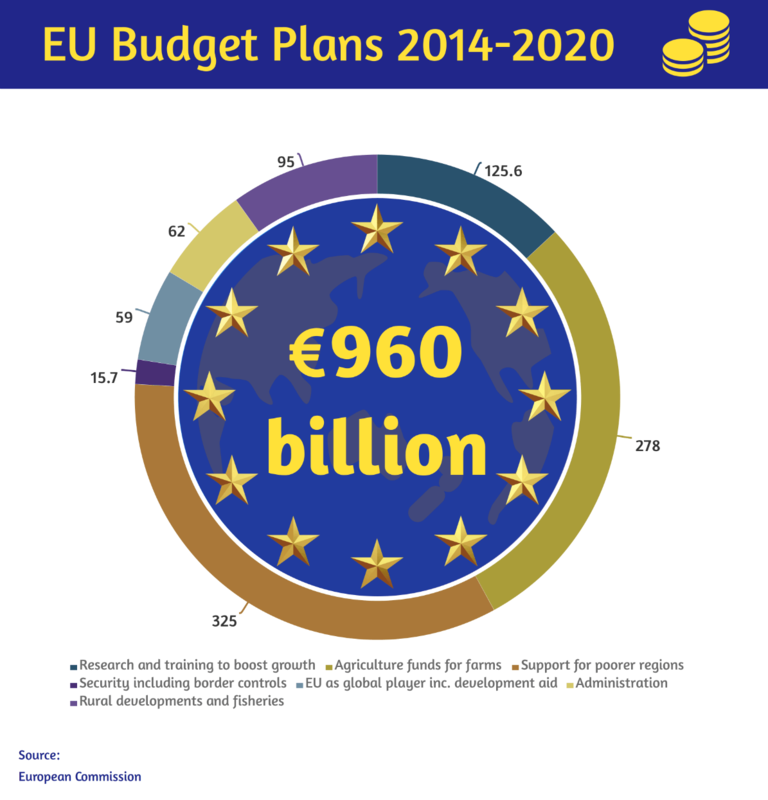 One of the common issues for Eurosceptics is the cost to the UK for being part of the EU. For those people, the ammunition is there given that we pay more into the EU budget than is returned. Although the EU spent £4.5 billion on the UK last year, the government paid in much more, therefore the net contribution from the UK is approximately £8.5 billion. The loyalty to the EU cause is rewarded with a £5 billion rebate which is immediately paid back, therefore our government does not pay the £18 billion it would otherwise be responsible for. All of this contributes to the benefits gained by the UK for existing in this single market, but as many opposers suggest, "there is no definitive study of the economic impact of the UK's EU membership or the costs and benefits of withdrawal." When setting out Vote Leave's strategy, Justice Secretary Michael Gove said a vote to leave would be a "galvanising, liberating, empowering moment of patriotic renewal." But is this what businesses think? Will employers get the same sense of reward by leaving? At this time, the campaign is full-on for both sides of this argument, and as such, warnings and advice are getting thrown to the general public in ample amounts. Employers, in the broadest sense of the word, have had their say in the weeks leading up to the referendum and the general consensus seems to be that one of the major concerns they have is that a leave vote may well impinge on their inability to offer employment opportunities in the UK. One of the first businesses to show their proverbial hand was Rolls-Royce, whose Chief Executive wrote to its British employees to warn that the "employment base" could be affected due to the Brexit resulting in a hike in prices and general costs - something we will revisit later. Owned by BMW, Rolls-Royce depends on importing and exporting goods, and echoed the concerns to employees through the distribution of emails and letters to 8,000 employees. 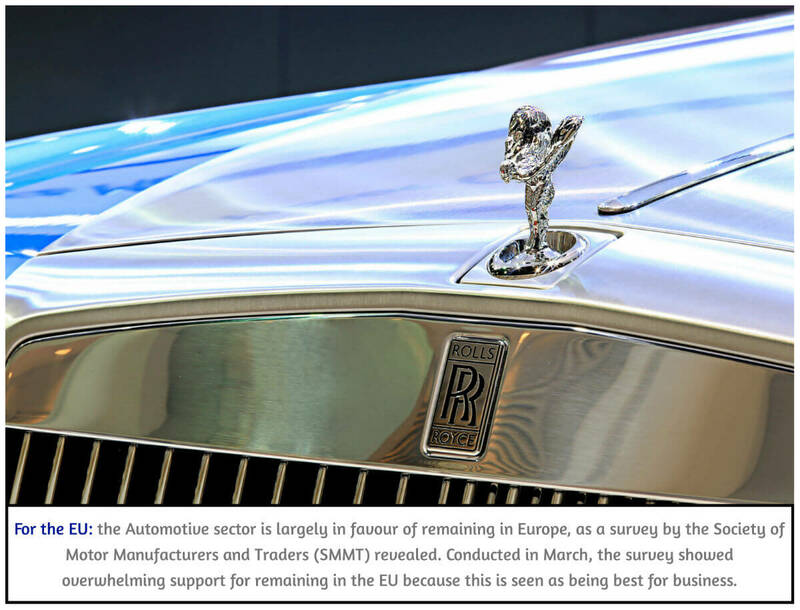 Staying in the Automotive sector, a survey conducted by the Society of Motor Manufacturers and Traders (SMMT) in March showed overwhelming support for remaining in the EU because this is seen as being best for business. Indeed, the majority of companies think Brexit would negatively impact their business. SMEs and large company members of SMMT alike feel the same way, with 73% of the former and 88% of the latter showing a preference for remaining. 71% of respondents told of the positive impact being in the EU has on their business, and significantly, employers having access to a skilled workforce was one of the most popular responses regarding the impact of EU membership on their business. Mike Hawes is the Chief Executive of the SMMT and he said being in the EU is "vital" to securing future employment opportunities. He said: "Being in Europe is vital for the future of this industry and to secure jobs, investment and growth. Our industry supports 800,000 jobs across the UK and contributes more than £15 billion to the UK economy - our members have clearly stated that pulling out could jeopardise this." Concern has been raised even further afield in the voice of BlackRock who believe leaving the EU will mean the financial services industry in the UK will experience contraction. The world's biggest hedge fund manager, BlackRock believe that this, as well as a lack of negotiating power in trade deals, mean that Brexit "offers a lot of risk with little obvious reward." With the risk of a reduction in the financial services industry, BlackRock warned that the UK is at risk of a reduction in growth and investment, which will potentially lead to a rise in unemployment. Being in Europe is vital for the future of this industry and to secure jobs, investment and growth. This opinion is disputed elsewhere though as the Association of Professional Staffing Companies (APSCo) told Agency Central that even though there have been job losses within investment banking "and fears that an EU exit could cost up to one million jobs, our data shows that demand for permanent talent in the sector remains strong despite Brexit uncertainty." The financial sector in particular has warned of the dangers of cutting loose from the EU but Samantha Hurley, Operations Director at APSCo, said: "It's interesting (and perhaps comforting) to see that this particular sector saw one of the largest increases in demand for professional staff in our survey, with the number of permanent vacancies up by a healthy 13%." However, despite this, APSCo conceded that the risk posed by businesses in various sectors taking their organisations away from the UK in the event of Brexit "must be taken as a serious business risk." The Association of Graduate Recruiters (AGR) - an employer-led organisation who help members to recruit the best in student talent - is also wary of Brexit and in particular, what leaving the EU would mean for recruiting from abroad as well as EU graduates. The Association concluded that any more restrictions on employers looking to recruit international students is "bad for business and bad for UK students." Then there is the negative effect on an already problematic skills shortage. The Chief Executive at Prospects, meanwhile, described leaving the EU as "potentially disastrous" for the graduate job market. Vote Leave campaigners published a list comprising of 250 business leaders who said they support leaving the EU, which on the face of it, suggests there are businesses out there who think issues such as employment will not be adversely affected in the event of a change, but Britain Stronger in Europe countered by saying this support from business leaders was in a "personal capacity" only. But what are the issues facing employers if, as a country, we are to leave the EU? Will this have a knock-on effect to the hiring process and a candidate's job prospects? This is one of the biggest issues for the pro-EU advocates that have spoken to Agency Central about the impending referendum. As things stand, companies are able to trade freely with organisations based within the EU who can import and export goods without imposing tariffs. Being part of the EU also means that the UK as a whole has a say in how trades are conducted and the rules governing this - something that would be lost should we exit. Leave campaigners counter by saying the access to the EU market would be there, and would be bettered by negotiating an individual trade agreement for the UK. While this is a possibility, business leaders who have given their opinion to us seem to think that the new system of trading will set many companies on a path that ends with either less jobs being advertised, or in even more extreme scenarios, businesses shutting up shop altogether. One of these is Rune Sovndahl, CEO and Co-Founder of Fantastic Services, an on-demand services provider that was set up in 2009 and has turnover in excess of £28 million. Rune is originally from Denmark and vividly remembers the original 'no' vote the Danes decided upon in the 1992 Maastricht Treaty which he says, "was a huge setback in our integration with the EU." A second referendum a year later led to Denmark's introduction into the EU but the uncertainty created has stuck with the entrepreneur who believes that the extra bureaucracy will result in "scaring away business." He said: "Europe is the largest economy in the world and whilst it certainly has problems, part of its beauty is the variety of amazing countries and nationalities that are empowered to work together as a collective. It makes no sense to leave this economy and become an isolated nation with trade zones. To me, this is a backwards step and will automatically create a wealth of red tape and bureaucracy that will make Britain difficult to work with, scaring away business from mainland Europe." That it could scare businesses away must be of concern to the economy, but moreover, it means less employers will be here to offer jobs, which will affect the job market. Even if job opportunities are not affected by a Brexit, can the same be said about an employer's ability to recruit candidates? The EU is a great resource for businesses to bring in people to fill their positions in the present climate. It has been said by Eurosceptics that many SMEs do not trade with the EU, but what of those that do? For these companies, there is a real risk of extra costs, impact on cash flow, the possibility of having to reduce or increase prices, all of which seriously impact on a company's ability to expand and invest in staff. This was the picture painted by PLM Global, a thriving, relatively new SME that specialises in buying and selling barcode hardware. The company is on target for a turnover of £2.5 million and is on another recruitment drive, which is impressive given how new the organisation is. PLM Global buy and sell equipment both inside and outside the EU and if the latter was the only possibility after the referendum, it would pose the company with questions about its future. The process of buying stock from EU-based countries and those outside of the EU was explained in detail to Agency Central by PLM Global's Sales Director, Shane Watson. He said: "We've just brought a pallet in from Norway. If it was in the EU, it would have taken me 3 - 4 days to get it in, yet it didn't arrive for two-and-a-half weeks." The reason for this, he says, is the "red tape" that doesn't exist on EU-based transactions. These transactions take longer because FCC documents need to be filled out for the products that have batteries in them. After this, a courier is contacted and cost agreed to import the goods. "At that point, if it was in the EU, I would forget about it and it arrives at any of my chosen locations," Shane explained. But outside of the EU, once it comes through the pallet network, customs need to be paid an import duty, which has to be paid up front because invariably, smaller couriers will not extend credit. On top of this, commercial invoices have to be attached in order to get through customs. This is something that is not needed within the EU. The result is a transaction - which costs more because of the extra work involved - is slowed down and affects the cash flow of a business. The potential impact on businesses could be fatal because, even worse than stunting employment opportunities, it could "kill" them. According to PLM Global's Sales Director, Shane Watson, this is a huge concern if we leave the EU. "Whilst I would say we could survive a Brexit, it just makes it more difficult to trade because prices will have to go up and the small businesses will be killed because everything will take much longer and companies rely on speed of transaction." Europe is the largest economy in the world and whilst it certainly has problems, part of its beauty is the variety of amazing countries and nationalities that are empowered to work together as a collective. Even if job opportunities are not affected by a Brexit, can the same thing be said about an employer's ability to recruit candidates? The EU is a great resource for businesses to bring in people to fill their positions in the present climate. Indeed, research by the Social Market Foundation (SMF) think-tank, which outlines what it describes as employers' "heavy reliance" on EU employees. Key findings include the revelation that 6% of UK employees in the public and private sector are from the EU - totalling 1.6 million workers. As things currently stand, employers in the UK can hire staff from the European Economic Area (EEA), which is a mixture of the EU countries along with countries including Norway and Liechtenstein. Industries such as Manufacturing make the most of this with 10% of employees coming from EU countries. It shows, according to Nigel Keohane, SMF's Director of Research, "the extent to which UK organisations employ workers from the EU." In this context, it shows the predicament faced by UK employers; leaving the EU would surely impact on the ability to find the right employees. This in part, goes back to the skills shortage, but with staff not readily available, employers may not be able to undertake specialist functions for clients, which then could jeopardise its future. If this is commonplace for other companies, it could easily lead to fewer job opportunities. 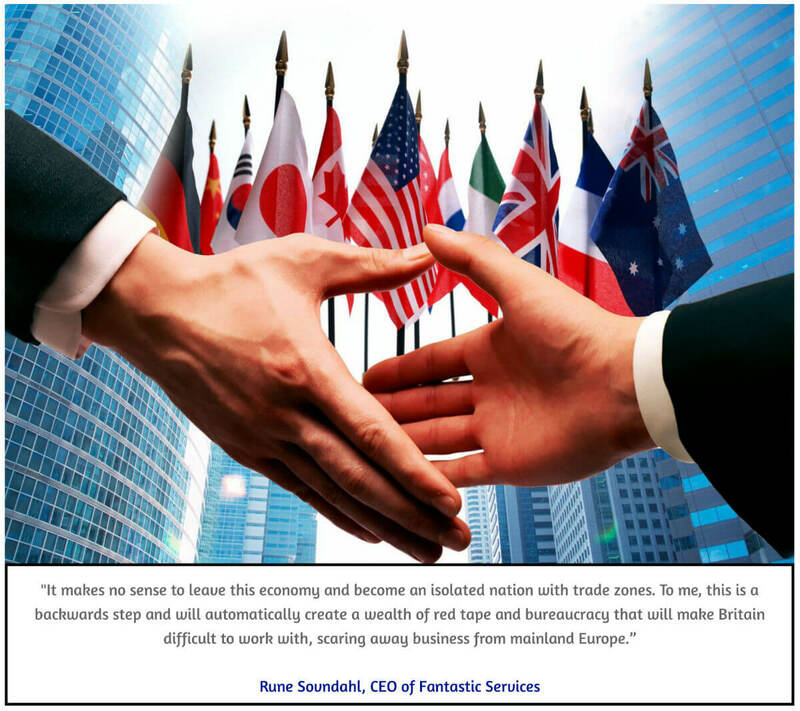 The CEO of Fantastic Services, Rune Sovndahl, said a vote to leave would put huge pressure on finding skilled workers. "We would not be where we are today if it wasn't for Britain's membership of the European Union. If Britain were to come out of the EU entirely, the commercial impact on British business would be huge. Personally, our growth would be stunted and we would struggle to find tradesmen that meet the same standards as we have already." A sector that is in danger of feeling the pinch more than most is the Healthcare industry. The strain on the NHS is well-known with higher patient numbers, along with a rising and ageing population. Combine this with a decline in qualifying healthcare professionals and it is abundantly clear that the NHS and private healthcare companies have a challenge on their hands to find staff. The feeling from Your World Healthcare, which is the largest supplier of allied healthcare workers to the NHS and private healthcare, is that a vote to leave would be "detrimental" to the ability to secure healthcare workers. As a result, it would leave this most important profession with gaps that the employers will not be able to fill. Andrew Anastasiou, Divisional Director for international recruitment, told Agency Central: "As a company we believe leaving Europe could limit our opportunity to secure healthcare professionals from our European neighbours. Placing restrictions on the movement of such staff will have nothing but a detrimental effect." If the negotiation of Brexit doesn't yield favourable laws on movement of workers, employers will ultimately have to be the ones to make sure anybody they employ is eligible to work in the UK. How will leaving the EU affect businesses? We've already seen the reservations of employers about what leaving the EU will mean for their companies and their capacity to hire people. How else will employers be affected, if at all? If we were to remain as part of the EEA, employers would have the same free movement rules for workers, which as Charlotte O'Brien - a Senior Lecturer in EU law at the University of York - argues, would make it 'fairly easy' to recruit, albeit with extra administration. Rachel Suff, Policy Advisor for employment relations and diversity at CIPD, argues that even in the event of leaving the EU, nothing would change for two years until the UK has negotiated Brexit terms. If the negotiation of Brexit doesn't yield favourable laws on movement of workers, employers will ultimately have to be the ones to make sure anybody they employ is eligible to work in the UK. This in itself will take up more time through the bureaucratic nature of such processes, and will also cost more money. Extra expenditure could, in theory, prohibit an employer's job opportunities. Another very real concern is what businesses will do once the two-year negotiation period ends. It is particularly pertinent for SMEs whose cash flow is something that has to be carefully managed. Any spiralling costs from changes of trade or the way workers can be recruited could be the difference between carrying on or closing down once the new rules are in place. Clearly, the knock-on effect on employment could be devastating. It is something that PLM Global's Sales Director, Shane Watson, is seriously considering and he feels many businesses will be in the same boat. "Nothing will change overnight but in that two years, we'd probably make a strategic decision to essentially make hay while the sun's shining." How should employers vote in the referendum? It is the million dollar question. Clearly there is a lot of uncertainty for a leave vote - it will take many businesses into the unknown. 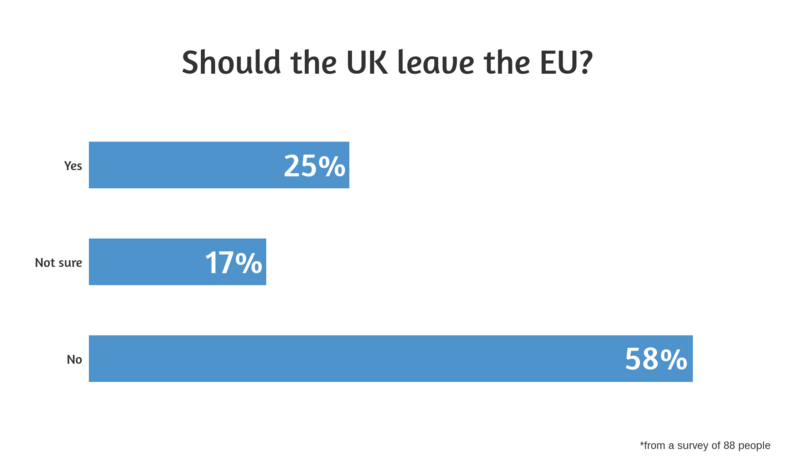 The common consensus seems to be that remaining in the EU is the best strategy for businesses and employers. However, that may not suit everybody. What is certain though is that this is a potentially pivotal moment for the UK and its businesses. As such, employers need to be certain that whatever they decide maximises their ability to trade and expand, therefore ensuring the job market continues to flourish. Finally, regardless of whether you're passionate to remain or leave, if you do one thing, make sure it is this; VOTE, and exercise your democratic right. The all-important date is Thursday 23rd June. More information about voting is available here.